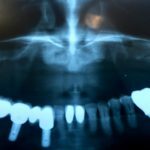 Home » Blog » Articles » Dental Implant or Montezuma’s Revenge! Is running to the border to receive advance dental implant treatment a good idea? There are many reasons patients seek treatment south of the border. The most common reason being costs – patients think they will receive comparable treatment in Mexico at a fraction of the price. Well, I’ve blogged about dental tourism before to warn the public that this is not true (stay with me). Consumers should never seek treatment of any kind in another country to save a few bucks. Not only are you putting your life at risk, but you are also risking costing yourself a small fortune. Seriously, do you really think that there is a reliable or any dental governing body responsible for protecting the public from harm or scams? I recently, treated the whopper of all whoppers with respect to dental tourism. The current patient presented only 1 month after treatment at a Mexican Dental Clinic. The patient reported that 6 dental implants were placed, and 2 other dental implants were removed without her consent. Clinically, she presented with 2 of the 6 dental implants exposed characterized by infection and puss. Additionally, she complained of chronic sinus issues post treatment. 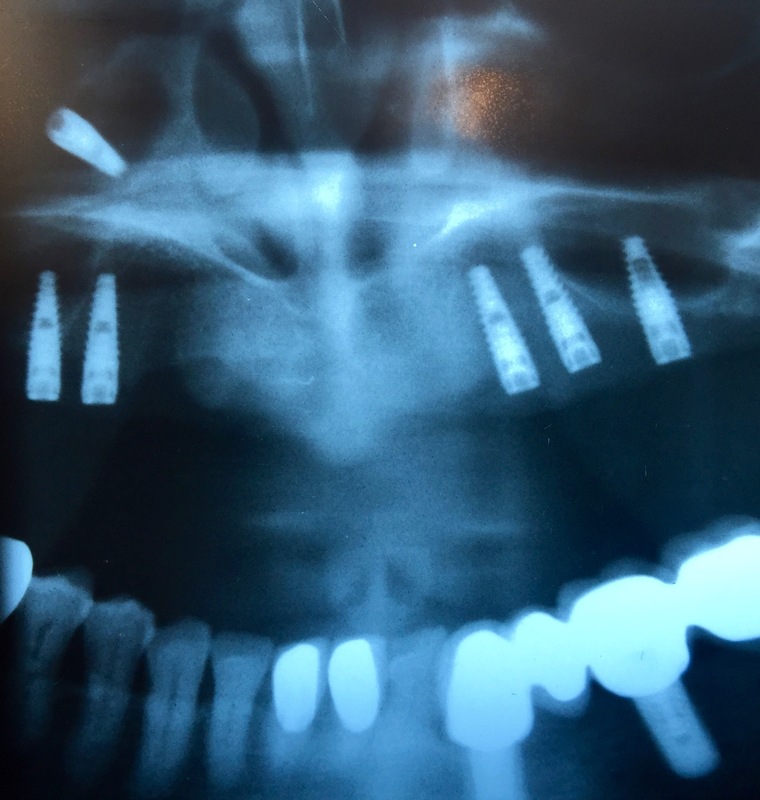 Initial x-rays showed the 6 dental implants with approximately 4 to 6 mm of bone loss after 1 month, and 2 of the implants lodged in the maxillary sinus with only 20 percent bone support. She returned 2 weeks later for me to remove the infected dental implants. 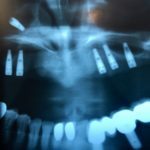 To my surprise, I could not locate 1 of the dental implants. A panoramic X-ray revealed the lost implant had migrated into the anterior/superior portion of the sinus. 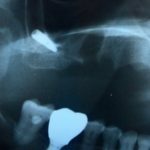 Dental Implant Discovered in Maxillary Sinus. After extensive treatment, I was able to dislodge the implant to a more posterior position. This allowed me access to remove the implant. The patient was extremely lucky to avoid an extensive hospital stay or systemic complications from her Mexican vacation. Moral of the story, if you want to hang out on the beach, go to Mexico. If you need extensive dental treatment, have it done locally. Dental implant dislodged to posterior sinus. Interested in more information about dental implants, check out our Dental Implant Page.